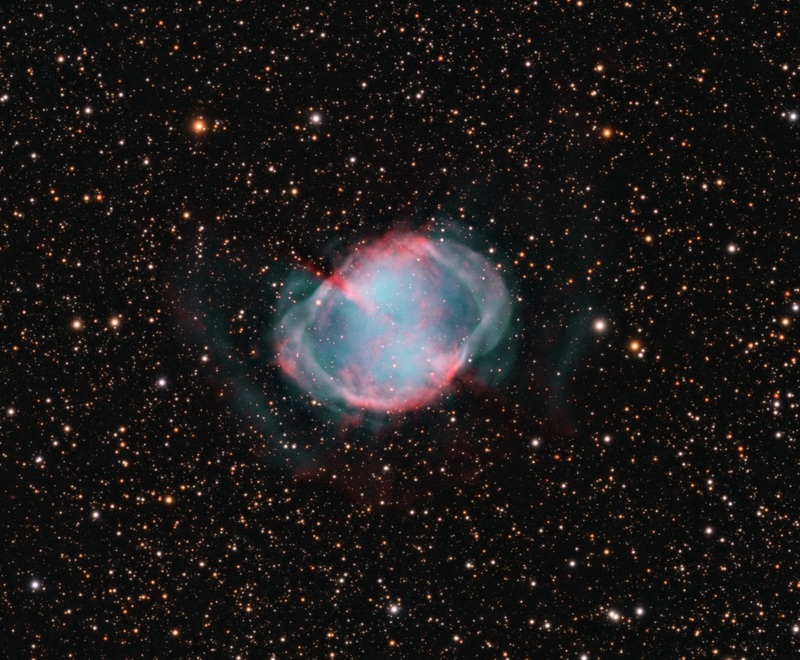 M27 the Dumbell Nebula. 30x120s RGB plus 17x 300s Ha and Oiii. Processed in Pixinsight and Photoshop. Ha and Oiii added to RGB using Pixinight NBRGB script.